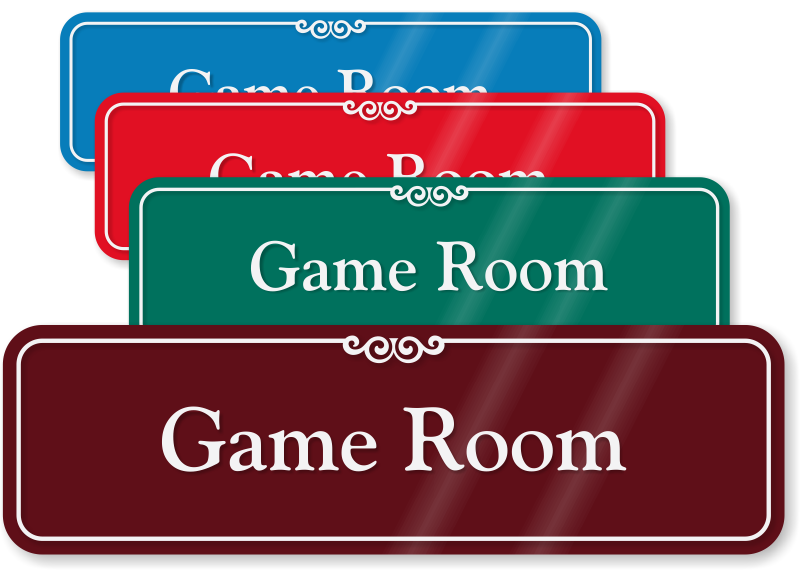 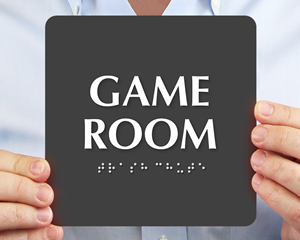 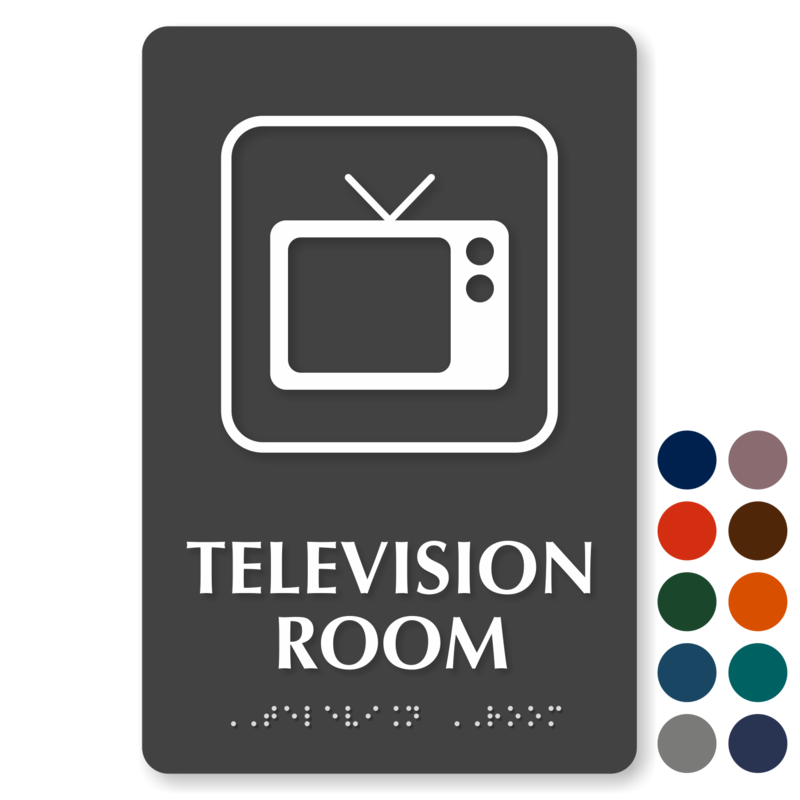 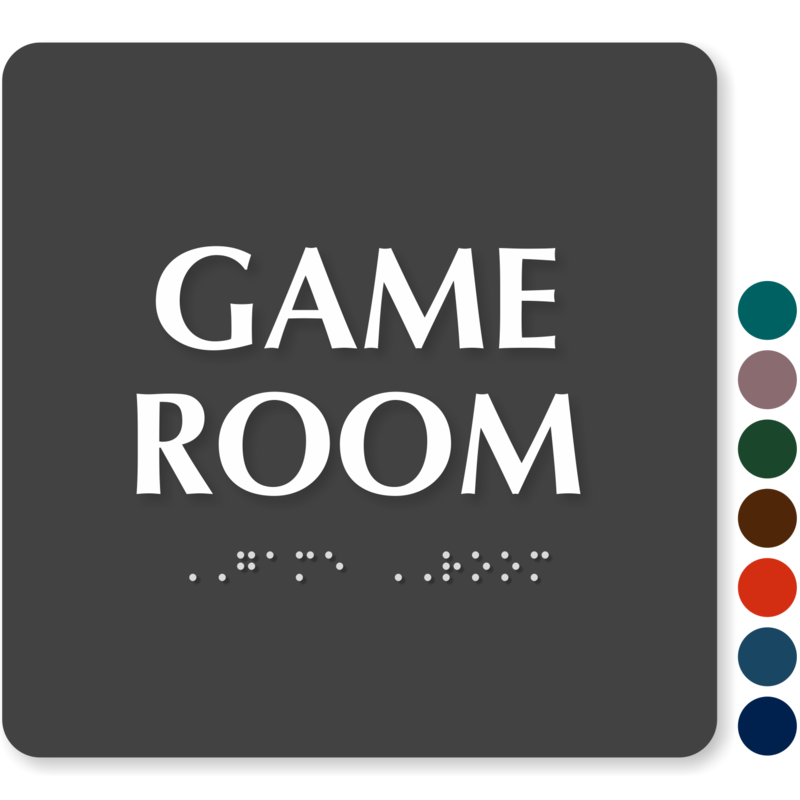 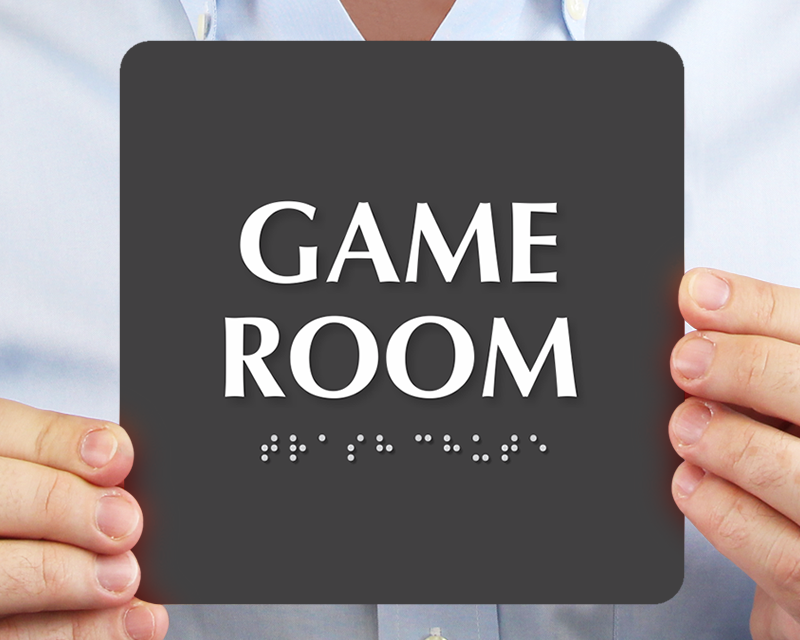 Game Room Signs are ideal for offices, dormitories, universities, etc. 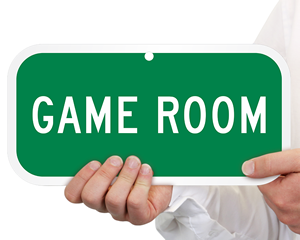 where designated recreational zones are constructed for employees, students and members. 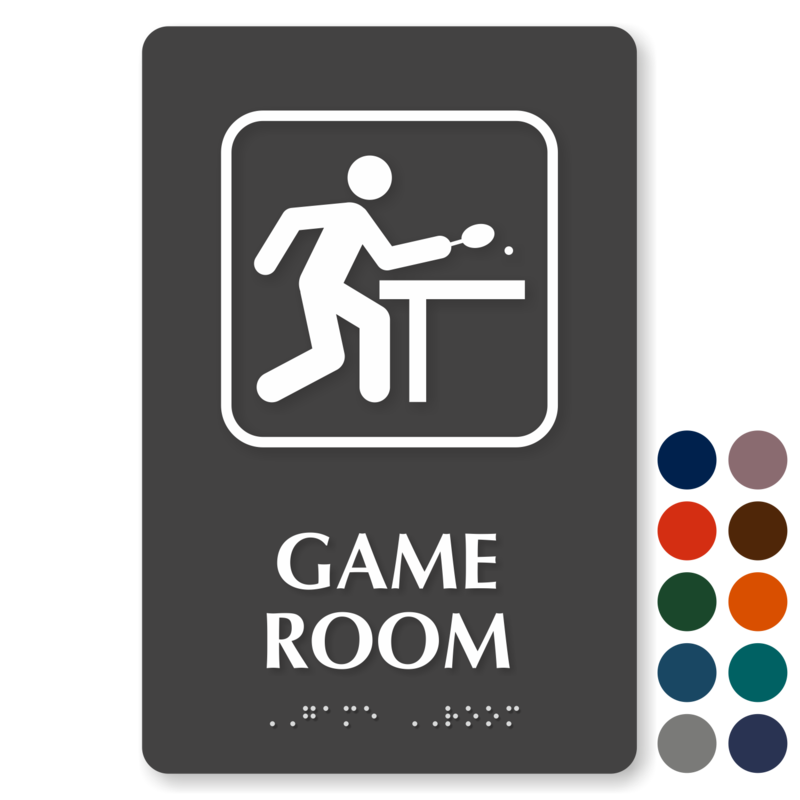 Order Game Room Signs to guide lost souls to the place of fun! 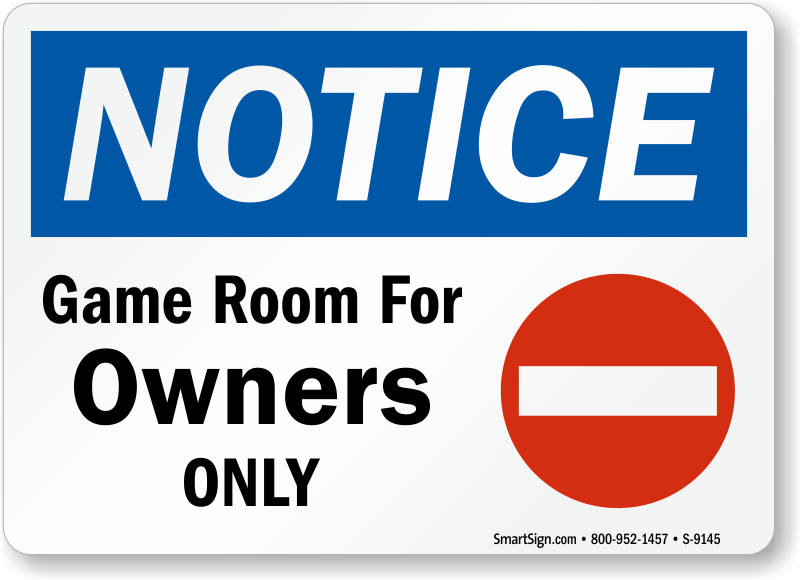 • Our signs are durable and outlast competition. Get yourself a premium quality sign without spending big bucks! 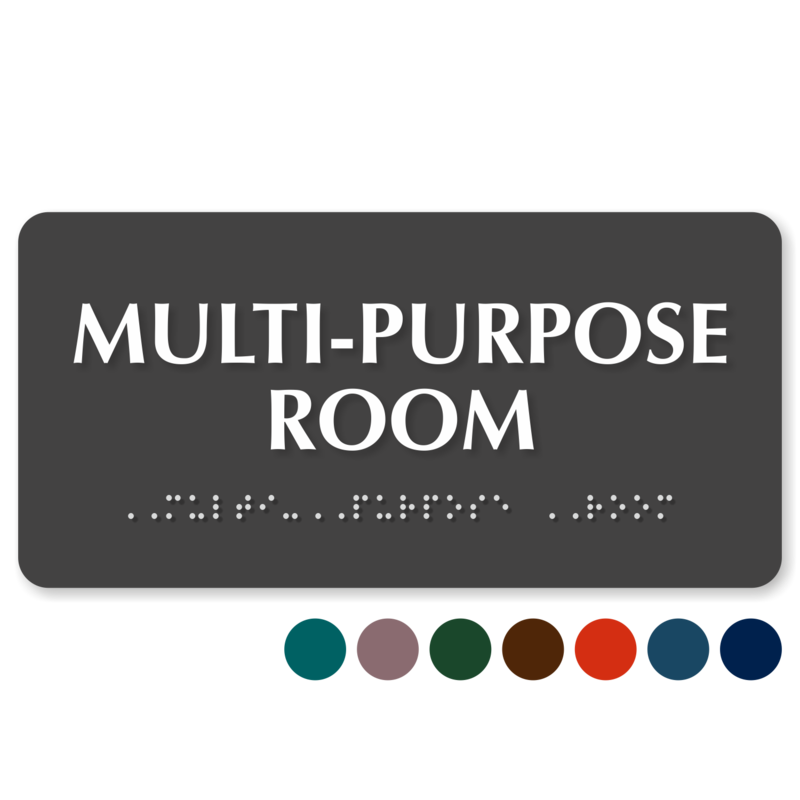 • From glossy ‘Walnut’ to formal ‘Black’ - we offer most signs in as many as 16 color options. 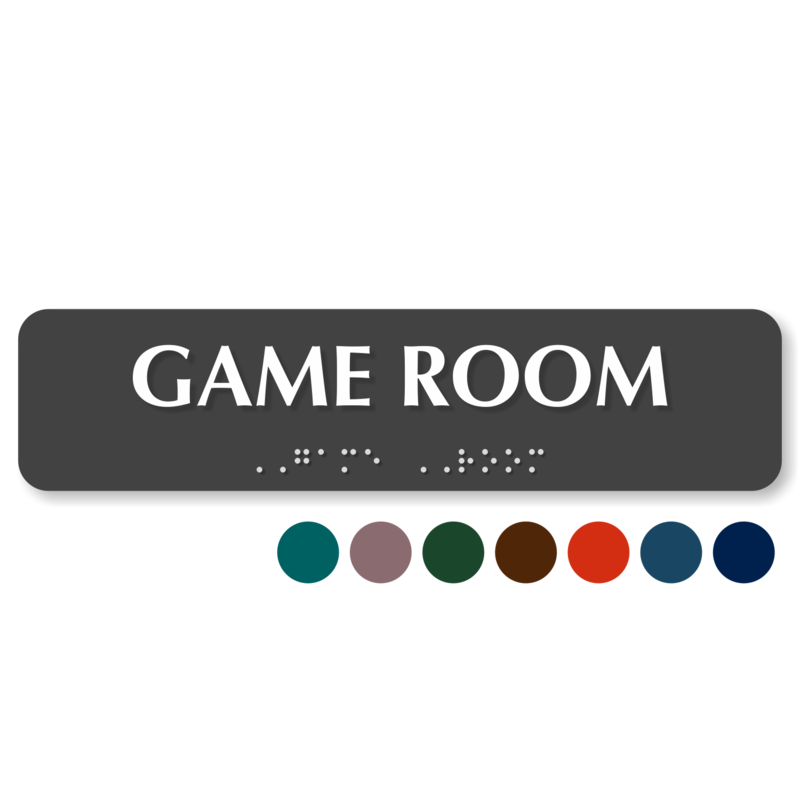 Need more braille room signs? 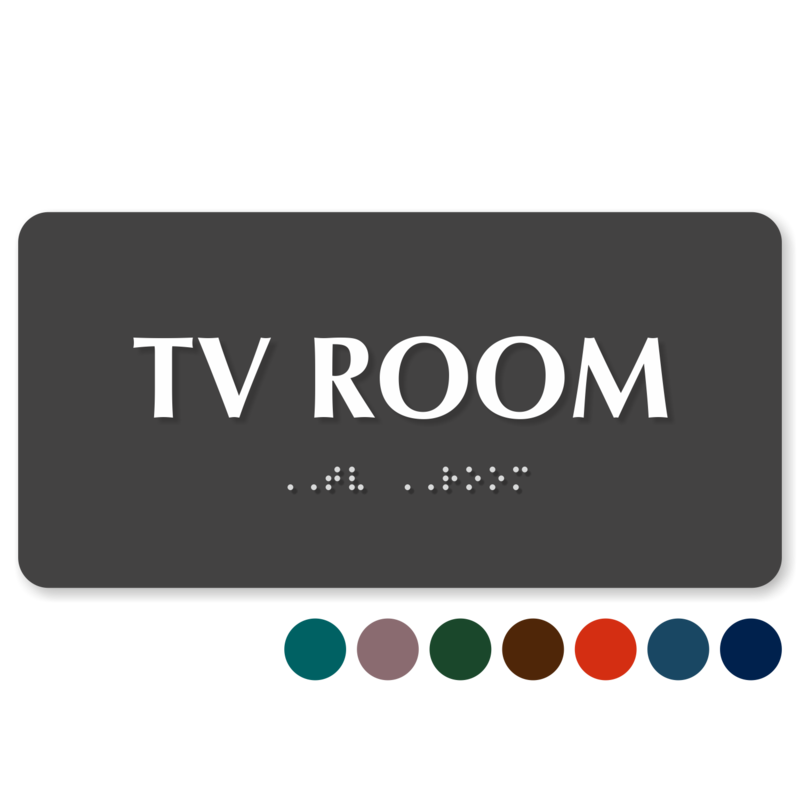 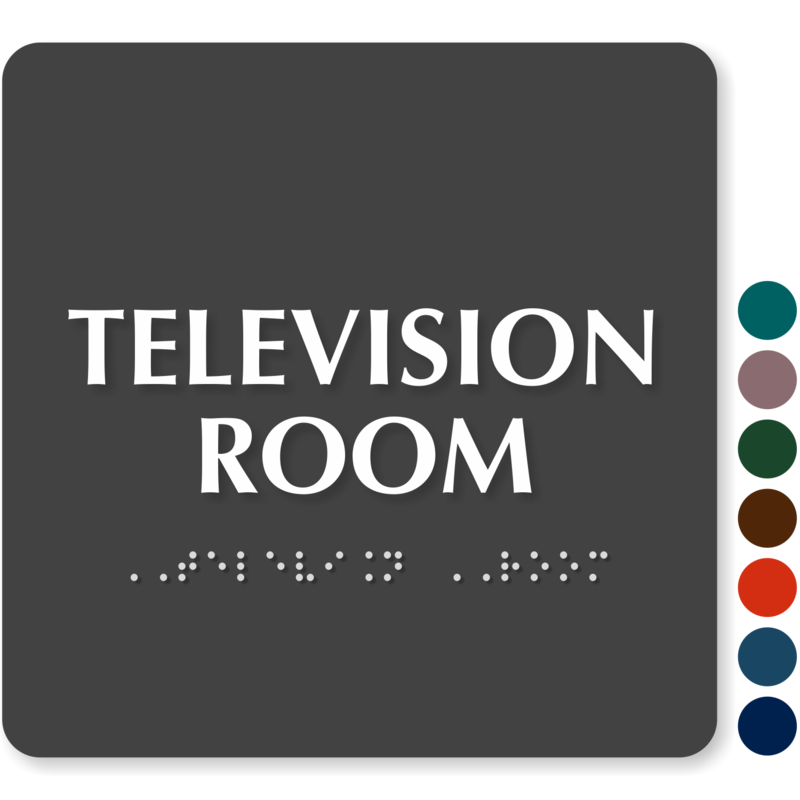 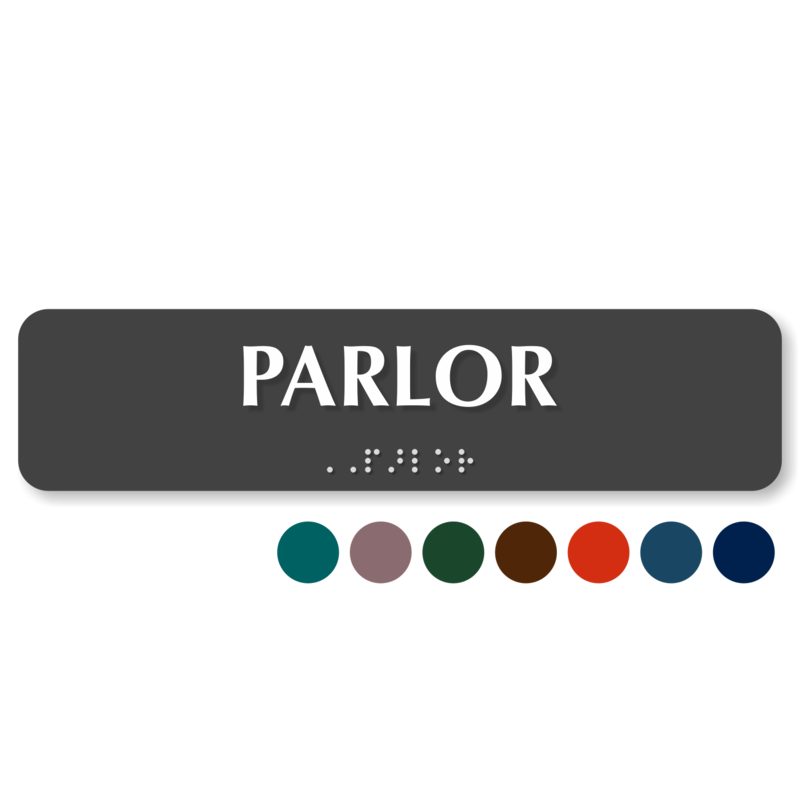 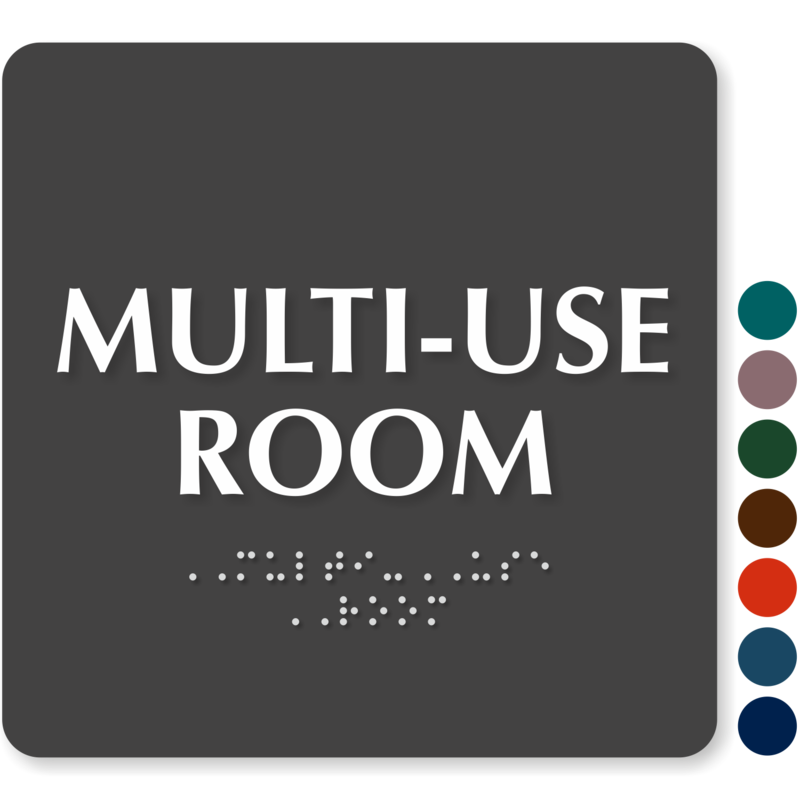 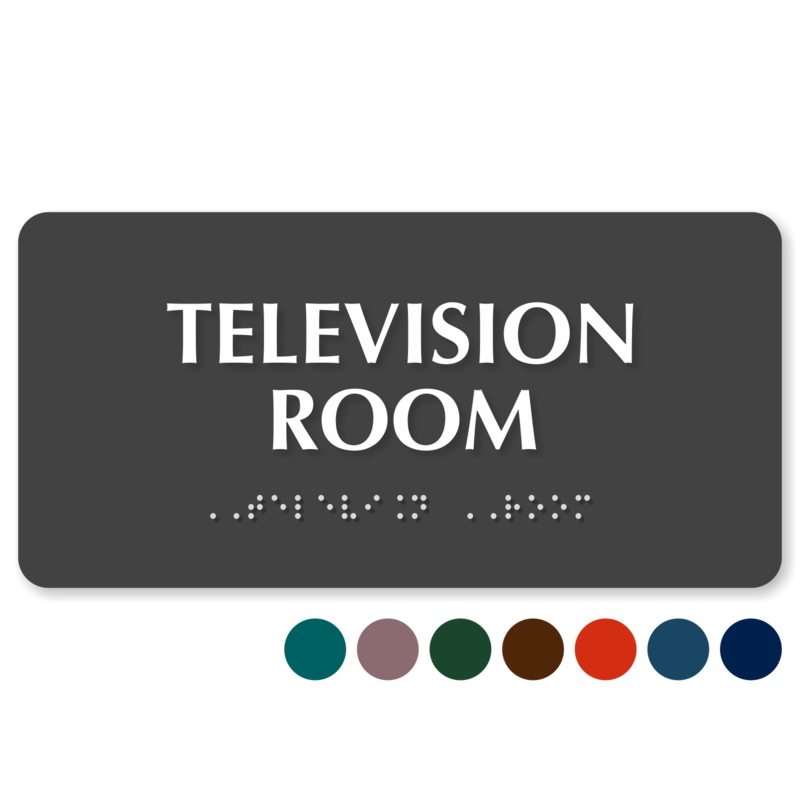 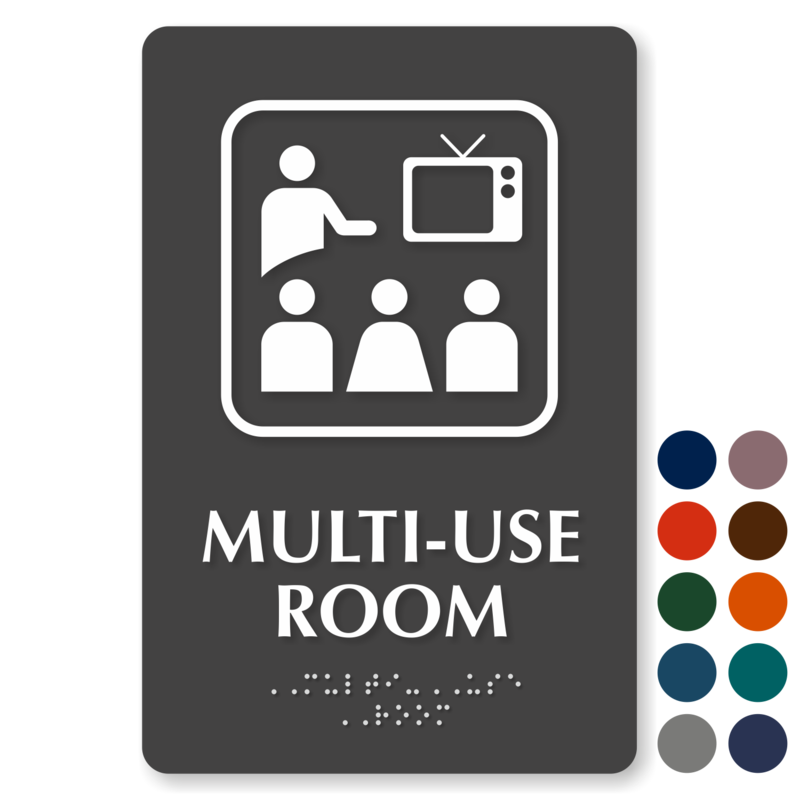 Choose from our largest selection of in stock Braille room signs online.